Did you know that the country of Japan is actually a series of islands? The four largest islands – Hokkaido, the main island of Honshu, Shikoku, and Kyushu – form a long, narrow shape and provide ample coastline against the Pacific Ocean to the east and the Sa of Japan to the west. 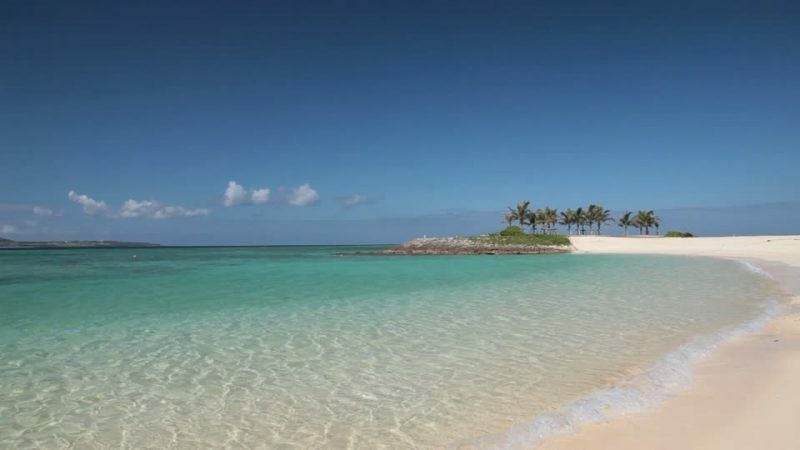 Additionally, over 3,000 small islands surround the Japanese mainland, most notably the southern island of Okinawa and the 150 islands of its prefecture. What does this mean for the summer traveler? There is plenty to do on the beaches of Japan, from soaking up the sun and building sand castles to surfing and other water sports. Before you start planning your Japanese beach vacation, though, consider the information contained in this handy travel guide. You’ll learn the best times to visit each beach as well as valuable information on how to get there using your Japan Rail Pass. The Seto Inland Sea lies between the islands of Honshu, Shikoku, and Kyushu, and the beaches along this sea experience a mild climate. 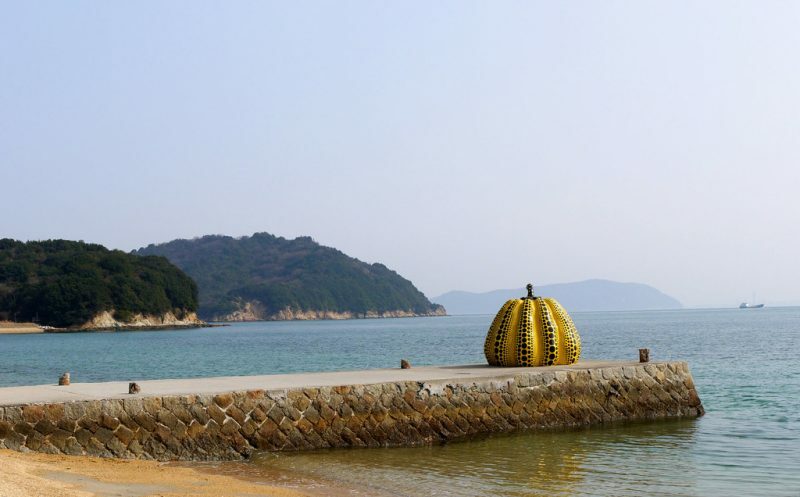 One such beach location is Naoshima Island, where you can spend the night on the beach in a yurt – a circular tent traditionally used by herdsmen in Mongolia – and enjoy unique art installations right on the beach (this is known as the “Museum island”). How to get there: From Tokyo, take the JR Tokaido/Sanyo Shinkansen to Okayama. Then take the JR Uno Line to Uno Station. Walk across the street to the ferry terminal, and you will reach the island by ferry. Katsurahama Beach is also a scenic destination, near the city of Kochi. Although swimming is prohibited, there are some popular attractions, including the famous Sakamoto Ryoma statue and the Tosa Dog Museum. How to get there: A one-way trip (Kochiken Kotsu local bus) from JR Kochi Station to Katsurahama Beach costs 690 yen and takes 35 minutes. The inspiration for the anime classic Princess Mononoke by Studio Ghibli, Yakushima Island off the coast of Kyushu is home to some of the oldest rainforest trees in the world. Between the months of April and September, loggerhead sea turtles also inhabit the island to lay their eggs. How to get there: From Tokyo, take the Tokaido Shinkansen to Kagoshima. The trip will last approximately 8 hours and requires several train transfers, but is completely covered by the JR Pass. From Kagoshima, you can take a boat or ferry to the island. The islands of Okinawa extend into the subtropical latitudes, allowing for a warm climate with white sand beaches open year round. Even during the winter months, temperatures seldom fall below 15 degrees Celsius (59 degrees Fahrenheit). For swimming and water sports, the best time to visit Okinawa is between the months of May and October, when the weather is warmest. In addition to the main island of Okinawa, there are other beaches of interest in the area. When visiting the beaches of the Kerama Islands, Ishigaki Island, or Miyako Island, you may spot corals, reef fish, or sea turtles close to shore. Kume Island is home to the 7-kilometer sand bar called Hatenohama Beach, which can be reached by boat tour. Always be aware of strong currents. From June to October, stay informed as to reports of the poisonous habu box jellyfish in the area. How to get there: As Okinawa is an island and not part of the mainland, it must be reached by air. Flights leave daily from Narita Airport (Tokyo), with a flight duration of 2.5 hours. When on the island, you can purchase a one or two day pass for the Okinawa Monorail, or take advantage of its dense bus network. Numerous ferries and even a helicopter service connect the various islands. Tokyo is one of the hottest destinations in Japan. This fast-paced “neon city” is home to traditional gardens, soaring skyscrapers, and enormous, unique shopping experiences. 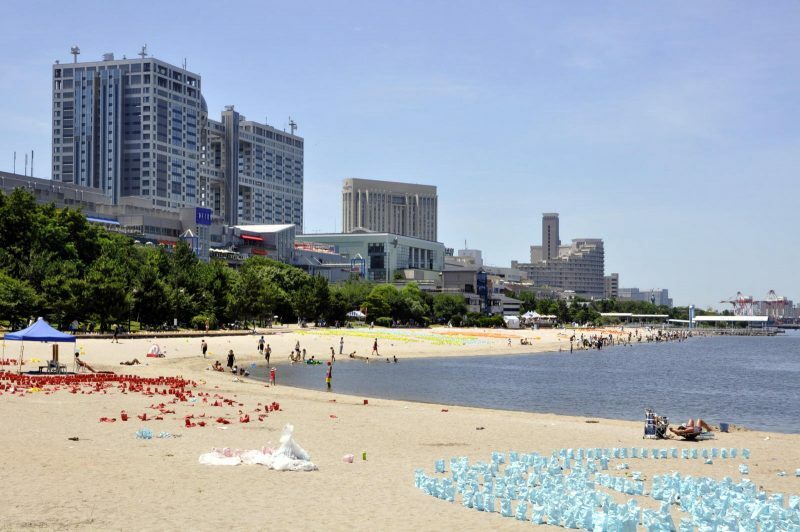 If you’d like a little downtime at the beach on your next visit to Tokyo, you are in luck, as beautiful beaches are located not far from the city, making for a great day trip. The warmest months around Tokyo are mid-July through August, but temperatures are often warm enough for swimming June through September. Odaiba is a man-made beach, 800 meters in length, located near the Decks shopping mall. While swimming is not permitted, visitors enjoy sunbathing, spectacular sunsets, and beach volleyball. How to get there: From Shimbashi Station on the Yamanote Line, take the Yurikamome train across Rainbow Bridge. While this train is not covered by the JR Pass, the views of the city are well worth the trip. Among Japanese surf destinations, Shirahama Beach is not to be missed. The torii gate of the Shirahama Jinja Shinto shrine is visible from the beach. 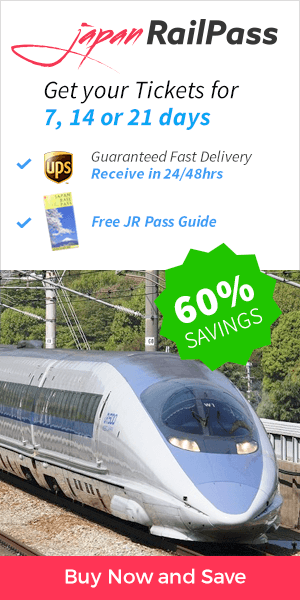 How to get there: From Tokyo, take the JR Limited Express Odoriko. A supplemental fee may be required. 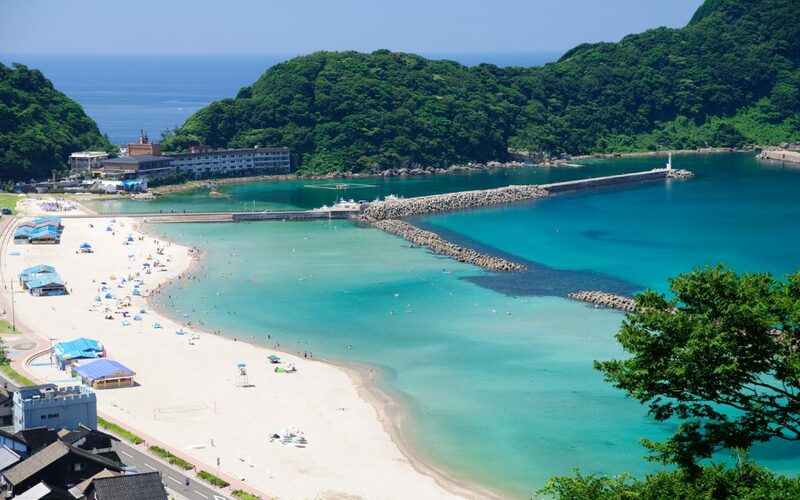 From Izukyu-Shimoda Station, take a 10-minute bus ride to Shirahama Kaigan. At most of the beaches mentioned above, basic facilities such as changing rooms, showers, and toilets are provided, and some, but not all, beaches have lifeguards on staff. Whether a lifeguard is present or not, travelers should seek information on rules and potential hazards – such as strong currents or the presence of jellyfish – of the beach they select. Additionally, some of the popular beaches have facilities for equipment rental and refreshments. By keeping in mind the information provided herein, your Japanese beach vacation is sure to be both enjoyable and memorable! Hi Paul! It is adviceable to cover your tattoos, as in Japan this is often a symbol of mafia or Yakusa involvement. You don’t identify the top photo on this page. It looks like a nice place. Where is that? That’s Takeno Beach in the Hyogo Prefecture, very close to Kinosaki Onsen. These pictures are absolutely beautiful! A lot of people don’t realize all the great beaches Japan has to offer but you highlighted it very well here. How common are lifeguards in Japan? Hi Alexander! Lifeguards are present at the most popular beaches during the summer season.